While eating in company, there are things you want to avoid. Here are some of them. 1. In cocktail service, avoid using a napkin to wrap around your glass or drinking from a stirrer. 2. At table, avoid picking up your napkin until the senior person does so, or touching your food until you receive a signal to dig in. 3. 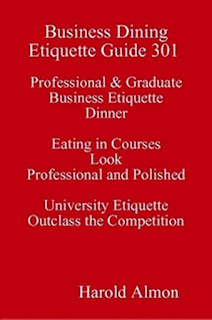 During the meal, avoid wrapping your arm around your plate, eating with your elbows on the table, talking with your mouth too full, slurping, being picky, placing a whole spoon bowl in your mouth, leaving your spoon in your soup bowl or cup when the course is finished, pouring sauce from a sauce boat, using a knife as you would use a saw, placing the knife and fork like a pair of oars, looking like a duck: leaning over your plate each time you take in food, smacking your lips, ignoring your meal partners, wiping your mouth with a napkin in one hand, while holding a spoon, knife, or fork in the other, gesticulating with a fork or knife. It is my wish to assist you in locating the drink which is yours and knowing which drink is mine. 1. “With each hand make an OK sign. 2. Place each hand on the table. 4. To the subject say, “Good night.” That glass to your right is yours. This one is mine. Avoid making the OK sign in public at other times. Avoid adding a straw or lid to any glass “For here” to be used inside. Straws can be used in a container or can anywhere. Remember the sign; beverages are to be taken up from the right side using the right hand. When at table, place your eating implements in the rest position for style in which you are eating. Pat the napkin to your lips and place it back on your lap. Then, elbows down and in, take a drink. 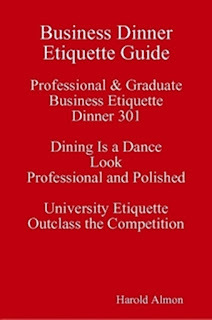 Avoid being at table drink in one hand and napkin or food in the other. set, then all the spoons are set together, placed to the right of the last knife, set bowl-up or bowl-down to match the fork(s,) and the spoon for coffee is omitted from the setting. Here is how the spoon rules work. The first spoon (1) is to be a cream (round) soup spoon, or a place (table) spoon. The latter is primarily used for soup, melon, or at breakfast for cereal. The second spoon (2) is to be placed to the left of the first spoon. It can be placed above the place setting, with the handle facing to the right. It is used only for dessert. In formal service, this is a place spoon. A fork to be used with a dessert spoon may be placed below it handle facing to the left. In a maid-less place setting, the third spoon (3) is (a teaspoon) used for coffee. It may be placed to the right of the last spoon, or to the right of the last knife when no other spoon is used. When wishing to employ the rule go from the outside in the third spoon could be omitted from the place setting, and be brought in when coffee is served. Spoon rules follow the Rule of Three: no more than three spoons (or any items of flatware of the same kind) are to be set in any place setting at any one time. 1. A (Roti) of roasted meat or poultry item. 2. A fish item can be served as a main course item. 3. Tofu may be served as a main course. 4. A baked vegetable item could be served as one. Each main course is to be eaten using a knife and a fork. 1. It is to be cut, sliced, and eaten from the "Work" area of the plate: the portion closest to the table. The fork is to be used to hold the item in place. The item is to be cut, across the grain, into manageable portions one or two pieces at a time. 2. When the main course item is meat or poultry it can be pressed with a knife to cut the item, and flicked towards the fork and away from any bone present all at one time, and then cut again as each piece is desired during the course of the meal. Any bone, skin, gristle, and any unwanted portion may be pressed and cut away, picked up by using a fork, or a fork and a knife, and placed to the left side of the plate. At a table, avoid using your fingers to pick up the bone(s) of a meat or poultry item to eat or to gnaw at any remaining meat. guest is to extend an invitation to a host or hostess to reciprocate for any event or entertainment for which he or she attended where payment or work was not a requisite. The rule or reciprocity is excepted when you accept an invitation to an event where you have or had to pay to attend. Such events are a fundraiser, wedding shower, wedding, dance, or a ball. It can be omitted when you have to work to attend an event, when you cannot reciprocate and that fact was known when the invitation was extended, (and when you are male and single, or you are young.) You are to enjoy and to avoid pushing the latter rules. In social life, the rule of reciprocity could be omitted when the event was an expense account (work) lunch. However, a dinner is to be reciprocated-in kind, and normally in mixed pairs, or the excuse you offer had best be a good one. Once someone acknowledges the requirement, at the activity, a senior guest can say, “Can I” or “Let me,” and waive it, unless (you) the host insists. 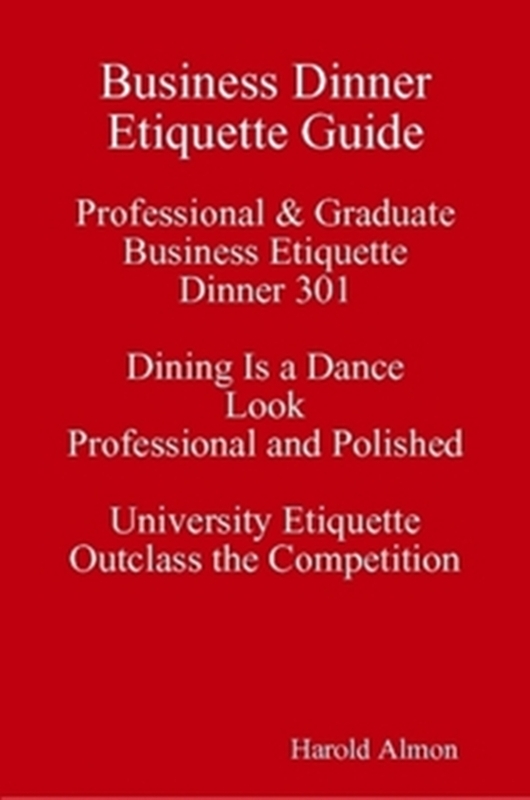 Knowing Business Social Dining Etiquette Lessons Polished Table Manners for College and University Students: what is being signaled and what to signal back, and being aware of how you look when you eat is practical, civil, and the right thing to do. 3. If you are served a meal in a soup plate, or in a bowl without an underlying plate, be careful what you get for dessert; you might be given a biscuit. Bread is not a first course. A roll, biscuit, bun, or a muffin is to be at each meal as a sign of hospitality. Bread served as a loaf is to be grasped with a clean napkin and cut in half. One cut half is to be turned, and from the large side is to be cut a few thin slices. Bread is to remain at table until the correction of it: just before serving dessert. Sliced bread at dinner may be economical; it is not etiquette. Sliced bread is for sandwiches and toast. Commercially, bread served with a meal has been seen to be sliced. This is a deviation allowed for the social good. Avoid eating bread and butter (or olive oil) as a first course. Bread can be provided as atmosphere, but is to be eaten after the main course is served. Bread is to be placed on a bread and butter plate. It can be placed on a dinner plate. It may be preset unbuttered on a tablecloth. Untoasted bread, cold or hot, that is about to be eaten can be placed on a bread and butter plate. A torn off piece of bread can be held on the bread and butter plate and buttered prior to being eaten. Then this small piece is placed in the mouth using your right hand. Repeat, bread is to be eaten, knife at rest, with the right hand. Avoid cutting a roll with a knife. Avoid holding a whole roll or piece of bread in the palm of your hand and dressing it. Avoid using bread as a test instrument to see which teeth are intact: showing teeth marks in the bread you are eating. The rest of the bread can be admired now and eaten later. It can be used for croutons or bread pudding, or shared by and with staff. Dream the dream. served during a meal. It could be used as a guide to the items needed in each place setting: from the last course to the first, and as a cheat sheet for the kitchen. Formally, a menu card is to be in cream or white card stock, and can have a beveled gilt or silver edge. Informally it may be in any color or paper, without an edge. It is to be four to four and one half inches wide, by six to six and one half inches high. It is to be no bigger than five by seven inches. In business or in public, a menu card may contain a logo or symbol to center of it. In a home, it may contain a heraldic device, a monogram, or intertwined initials. Each item may be embossed, engraved, or printed. Formally, this item may be printed in a color to match the beveled edge of the card, or in the theme color of the event. For extremely important occasions, a menu card could be engraved in French in script in black ink. For a less formal occasion, the items might be written by hand in calligraphy, typed, or printed. One menu card can be provided for each two place settings, usually at the setting for each woman. Each card may be signed by each guest, and given or retained as a memento of the event. One card is to be retained by the cook. It is to be used by the host as a reminder of the items not to serve the same people at the next event, unless by request. Have some fun with one. Enjoy your Celebration. only one item and were a whole lot smaller. A Tortilla is essentially a food wrapper. A wrapper when seated is to be used as a plate. Tortillas are essentially bread that is made of fat cut into stripped wheat flour that is that is served half done. When hot items are placed inside it, it starts to return to goo. Wheat is to be fully cooked. Yes, they know that is why you may order a Burrito bowl. You can use your Tortilla as bread. You may order corn tortilla instead. You could open up your Grande Burrito. Use and knife and fork and enjoy the inside. Get out the good stuff, and then decide if I want to eat that gooey wheat, that is left on your plate. You can leave it there. Stay thin enough to enjoy your date. Tortillas were traditionally made of corn. Look it up. Love cooked tortillas and corn chips with and without dips. You can eat a burrito Grande; sit and eat with a whole meal in your hand. But remember the rule for bread. Avoid showing teeth marks in bread you are eating. 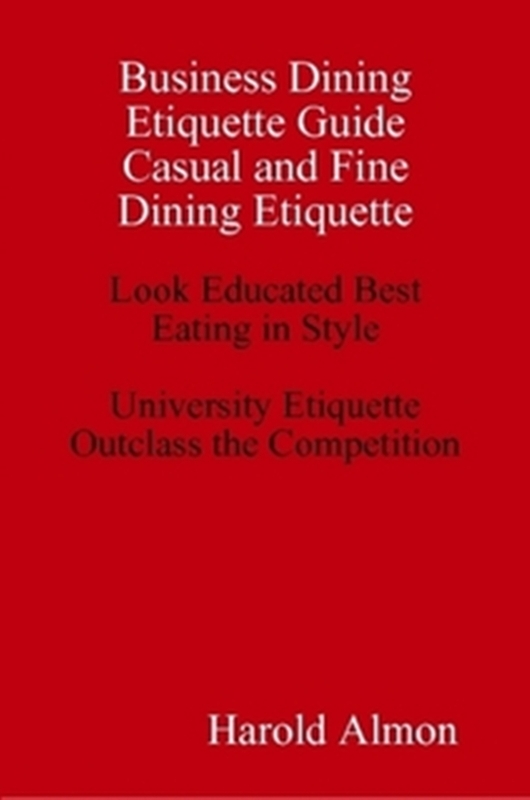 cultural exclusion, and to get etiquette and outclass the competition. Where they eat: Camps, Cafeterias, Coffee Shops, and Dining Facilities with Buffet and Cafeteria Style Dining Service, and in Fast Food restaurants. How they drink: from a paper fiber and the industry standard liner (low-density polyethylene plastic) glass; (a cup has a handle), with a lid under a roof, held near the top: essentially from a Sippy cup (without a handle,) from a cup without using the handle, from a glass with a straw-indoors, from a bottle, without a straw, and with their elbow out. What they currently eat: burritos, sandwiches, tacos, and pre-cut food - from a box, a container, out of a bag, or a wrapper, with their hands. 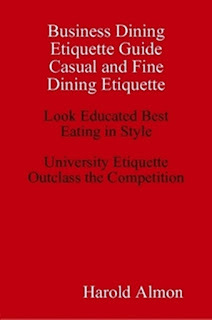 How they eat: with a lack of consideration or knowledge of any specific style, and with great ignorance of how to use a fork and knife, or how maintain a cover: a place setting for one in symmetry. 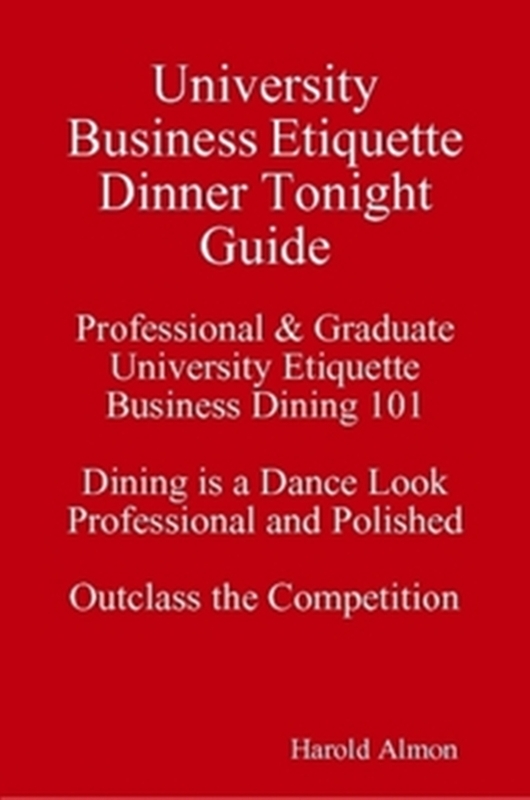 Dining is a dance, to look professional and polished, you have to learn the steps and then practice. What they say, "Everyone eats this way." 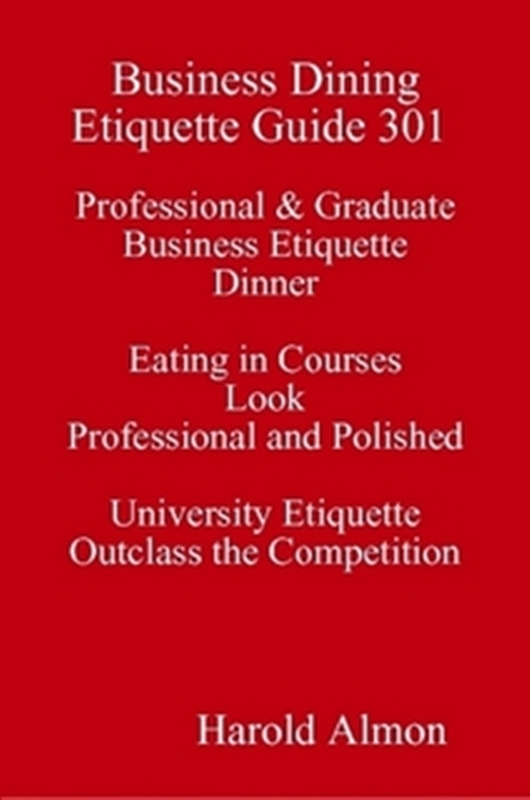 Ok then, get etiquette, and outclass the competition. care to be provided, thus, the resurgence of Landscape Architecture. The meeting line is where you meet people or assemble before calling on the event host or hostess or a commercial host. It is here, that someone from the inside can get a first glimpse at you.1. Be punctual. Arrive, “Just in time,” whatever this means in your community. You can get there early and take a walk around the block. You can wait in the downstairs lobby. You may visit a restroom to tidy up. Avoid showing up early in the reception area. No one will know what to do with you. 2. In a commercial dining establishment, open the door for any person with you. Give each revolving door a push. Step back. Let each senior person (regardless of gender) enter the door before you do. 3. Remember, it is the right of a host to enter a doorway (or elevator) last. Know when to hold to your position and when to give up the fight. 4a. Learn how to walk and hold a saucer with a cup with one hand. Lift the cup using your right hand. Pour liquid into your mouth, from your wrist. Practice in a Coffee house Get French Press. Sugar cubes, or packets, never use more than two. Milk is optional. Use a napkin. 5. Handling Cocktail Food. 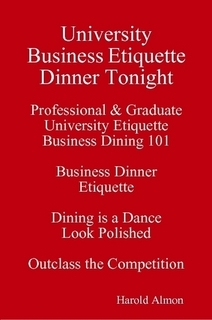 Learn to survive a business party: how to hold a glass, plate, and napkin in your left hand, functionally. 6. Mock tail Introductions Do introductions (correctly, senior then junior or junior to senior. 7. Notes on Handshaking Shake hands the right way thumb-web to thumb-web, fingers under palms. Note the Boys and Girls Club logo. Business mock-tail parties are different from social cocktail parties in their blunt honesty about their purpose: to give and to receive cards. Mingle. Be good company. Get cards you want. Ask, “Do you have a card?” When someone gives you a business card take time to look at it: as if to give approval; say something nice when you can. When you get a card, have a card to give in kind. You can say, “I am temporarily out” followed with “I’m sorry.” I will email you my contact information. Your note can say, Subj: “RE: Our Introduction” Message: “Nice Meeting you on .... at........” You can attach a copy of your resume or profile. Make the person a telephone contact. 9. Station 4. The Line to the Table. Learn seats of honor: learn who should get the first seat of honor at a table. Review the Plan de table. Know where to stop at a table. You can be responsible for approval of Table Seating Arrangements Name Place Cards,Colors, in addition to a Pledge of Allegiance to a host nation (hands at your side), unless also a citizen (hand over heart), the host's anthem/Song, the Company song, prayer, toast or response, party favors, promotional items and action items. At a family meal know an invocation acceptable to your host’s culture. Someone may say, would you care to say a prayer? Practice Golden Silence: Have nothing to say for thirty seconds (at a time). Know what to do when someone stops to visit you at table; get up. 11. Know the standard USA menu number and order of courses. Know the rules of Menus and formatting Menu Cards. Learn what to do after reading that reusable menu. Notes to self, if a menu in not Prix Fixe, order something you know how to eat. Start eating meals by courses. Stop eating meals in piles. Avoid spending your whole life needing only one fork and knife. 12. Maintain your cover: place setting for one, or establish one in symmetry. A cover is to be free of books, a hat, a backpack technology, and personal effects. Throughout the meal; avoid adding personal items: Consider your cell phone as you would a gun. Keep it holstered (off of the table) and know everyone has one. Leave the centerpiece alone. Avoid eating out of a container or bucket when you can ask for a plate. Avoid choosing plastic flatware over a metal fork and knife. 13. Rules for Using a Napkin: A folded napkin, six letters (C-E-N-T-E-R,) is to be placed center a place setting or plate in absence of a first course. For special occasions it can be seventeen to twenty-two inches square folded in a signature fold. A folded napkin can be placed to the left of the forks when a first course is to be in place. 14. Napkin rules. A napkin is to be used to signal when eating is to begin. When seated at a table, after the invocation or someone says, "Please enjoy your dinner," and after the lead of the hostess a senior person at the table know that a napkin is to be picked up and placed under the table onto your lap prior to eating or drinking anything. It can be placed on your lap fold towards you, for dinner size napkins: seventeen to twenty-two to inches, or entirely open for lunch size napkins: fifteen inches or less. It may be quartered for breakfast and for Continental or fast food. One corner of the napkin is to be used to correct conditions at table disturbed by the act of eating. One corner of the napkin can be used to blot (touch) the mouth gently prior to taking a sip (pour) of any beverage. 15. Rules for Bread and Butter Avoid bread until you receive the main course; remember bread is not a first course Avoid leaving teeth marks in bread that you are eating. Sliced bread is not correctly to be dipped into soup. Bread is to be eaten with the right hand, not the free hand, understand? 24. Station five the Line to the Food. 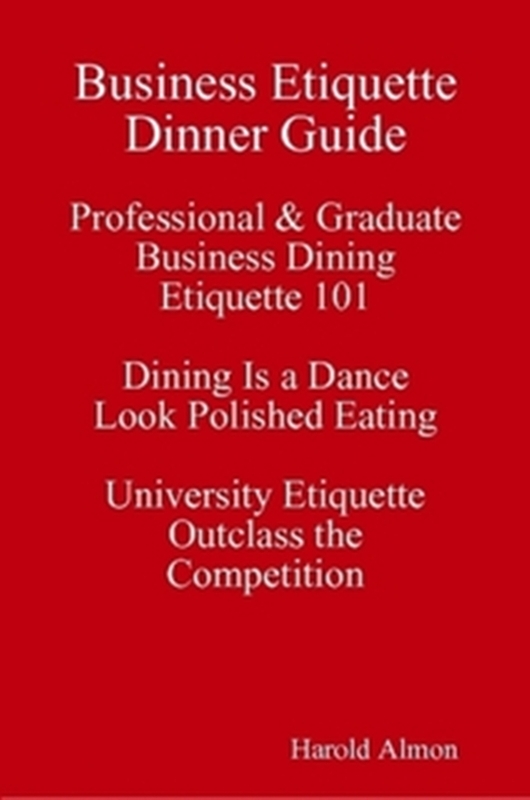 Know how to interact with dining staff. Continental Service – Silent Service American Service – punctuated with “thanks you (s)” Flatware position resting. Finger up – please see me. Flat hand down: requesting a pass in service. Finger point: request a refill. Flatware position: finished. Two-finger writing – check, please. (optional) money clip: dollars for tips. Bills for tips are to be crisp. Tipping 15 -20% of the bill minus tax or twice tax. The art of palming is to be mastered. 25. Standard USA Menu and Order of Service- Appetizer, Soup Fruit Juice or Melon, Fish,Intermezzo, Main Course, Salad, Dessert. A bowl of soup is to rest on an underlying plate. Station 5. The Line to the Food Filling a plate: take small amounts of food. (Practice eating in courses over eating in piles.) Try a little of everything unless restricted by religion, health, or culture. The chicken piece is to be impaled with the fork held in the left hand and cut: pressed from the tip of the knife in the right, and then a small piece can be flicked up and gently away from any bone. More delicately now, the meat is to be sliced or filleted with the grain and cut across it into manageable portions one or two pieces at a time. Then the fork is used to lift each portion to the mouth. Avoid seconds in any place, or in any home, not your own. Place flatware in the finished) position for the style in which you are eating; get up from the right, where practical; place your napkin in your chair. Return to your seat from the left, when returning to sit down. 30. Station 7. The Program. When it’s time, sing the company song. When it is time, dance. Let the host pay (and tip) where required. OK back to class. 31a. Station Seven The Line to Things to Take-Away: remember things to take-away: Name Badge, Name Place Cards, Singed Menu Cards, Pens, Party Favors, Program, Pictures, Engraved gift, Contacts, and personal effects. (No doggie bags.) Some places will let you order a new order to go. 31b. Stations 7. The Way to Pay: the person who issues the invitation will pay for the meal. 15 – 20 % of the bill minus tax or Twice Tax The art of palming is to be mastered. The standard United States of America menu, no matter how formal, consists of no more than five (four) courses. You can check with the White House. Practice eating in courses over eating in piles. 1. The first course could be an appetizer. It might precede or substitute as a first course. As a rule the first course is to be soup. It can be fruit-juice or melon. The first course can be omitted. Avoid serving rolls or sliced bread and butter or Olive oil as an intended first course. 2. The second course can be a fish, with maybe a potato item, or at lunch, it may be an egg dish. This course could be omitted. 3. The third or main course (sometimes called the entrée in restaurants) is to be a roasted meat (a Roti,) a fowl, or a vegetable item, and two vegetable side items, (or informally one side item may be a starch item.) At least one non-meat main course item is to be included in each menu offered. 4. The fourth course might be a green salad with cheese. * Salad served before a main course stems from what I call a Mickey D’s mentality: greet guest within 30 seconds, give each something to drink within three minutes, and something to eat within seven. C’est tres gourmet - not really. The drink before you eat is an aperitif and something to eat before a main course can be a consommé. The purpose of a salad is to push the main course away. This course may be served in lieu of a third course. It may be omitted in favor of dessert. 5. The fifth or last course is to be dessert. Coffee can be served with dessert, after it, or omitted entirely. What is served in each course may change with personal preference and pallet of each Chef. In the United States of America this is the main course frame. Bussing your own table can be more the custom of a fast food environment and may be more in line with the wishes of your dinner companion. Push in your chair until it is six inches away from the table. Reset the salt and pepper holder. Reestablish the “Centerpiece.” Yes I really believe you can bus your cover. 1. Place the beverage container above the place setting. 2. Pick up the left edge of the placemat in the left hand between the thumb and the index finger. 3. Balance disposable utensils on the wrapper or plate and grasp the plate or wrapper by the thumb of the left hand. 4. Fold the placemat backward over or under the plate or wrapper and grasp it. 6. Grasp each piece with the fingers of the left hand. 7. Next, pick up the beverage container(s) in the right hand. You can carry the container or glass on the palm of the left hand. Avoid stacking a container or glass on a plate. 8. Take the trash to the trash receptacle and deposit it. In other dining rooms, maintain the look of a plate that could accept seconds until you get to the plate rack or garbage can. You can omit bussing the table in favor of leaving a tip. Carry cash for this act, just in case you cannot add a tip to a tab paid with a card. Something to drink is to be given in a glass with a napkin. OK then, ask for, or go get one. 1. When standing a glass is to be held in the palm of the left hand secured by the thumb base and pinky. It may be held between the thumb and index finger. The cocktail napkin may be held between the index and middle finger. The straw is to be used only for stirring. It is hard to be a “Mac” (look cool) sipping a drink from a stirrer. 2. When a sip is desired, the glass is to be transferred to the right hand. Pick up the glass by the stem with the right hand, elbow down and in, and wrist to hand take it to the mouth and take a sip (pour) of the drink. (Avoid the Crane: raising your elbow to take a drink from a glass.) The sip is to be taken from the hand and wrist. When the drink is rested or finished, it is to be placed back on the palm of the left hand or in the place setting position in which it was set. Leave a little of each beverage in each glass. 3. When seated a cocktail napkin for a pre-dinner drink napkin can be used as a coaster. When seated at a dining table a large napkin is to be placed on your lap fold towards you. Avoid keeping a napkin a part of your cover. When you are in a chair at a table it is to be atop of your lap. In fast food service tray service, a sandwich, fries, and drink or the equivalent is to be served on a tray. A tray made for someone else is to be covered with a placemat. This was a rule long before the advent of anything named “Mickey D’s,” or the breach by “Bell." 1. An additional placemat is to be requested for each person to be at the table. Each person is to be provided with a placemat. (Ask for the extras and glasses for water – even if you have to buy them.) Get napkins, and optionally real knives and forks. 2. The tray is to be carried to the table. Remember to select a seat to show honor to the person with you. Give up the seat to which the person with you will gravitate – the seat of honor. 3. Food given in a bucket or box is to be placed to the left of each person who is to receive one. Glasses are to the set above the place setting space. Placemats are to be provided. Then using a wrapper or a plate, as a base, items are to be set on a placemat in cover: a place setting configuration. A boiled egg is to be eaten by using an eggcup, an underlying plate set in a place setting, and a teaspoon. 2. The top shell is removed and placed on the underlying plate. 3. The egg is to be eaten by being spooned from the shell and placed into the mouth. Yes, you can add salt to a boiled egg without first tasting it. 4. The finished position for the spoon is to the right side of the eggcup atop the underlying plate. 1. Cereal is eaten using a spoon. 2. The rest position for the spoon is center the bowl handle pointed to four o'clock. 3. The bowl can be tipped away from the table to get the last bit of cereal or milk from within it. 4. The finished position for the bowl is center the setting atop an underlying plate. 5. The finished position for the spoon is to the right side of the bowl on the underlying plate. 6. Avoid eating cereal as the last course to any meal except breakfast. If you are “still hungry” eat some fruit, something someone watching can understand. Cereal may be eaten later, when you are alone, as a snack. Avoid someone watching you practice being too poor to have proper seconds. 1. 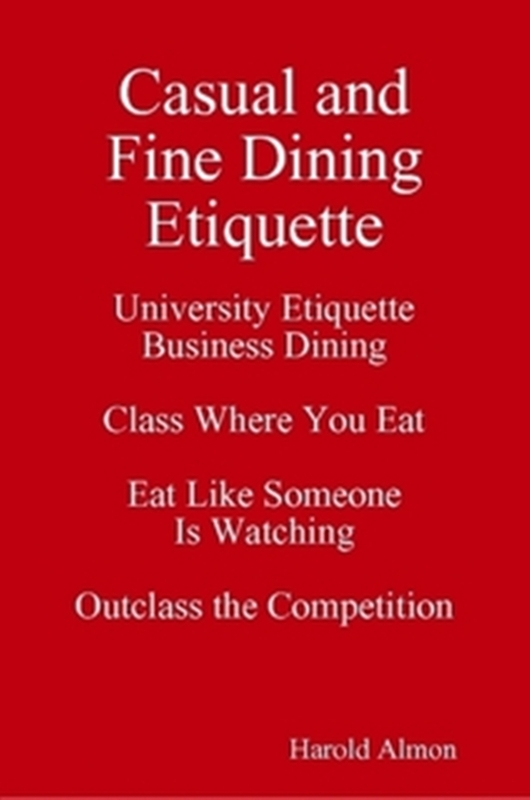 After you pay or sign in, for your meal, get a table a chair, and then when eating in courses, get a plate for bread. Bread is to be present at a table when eating in company. You can be the bread person. Get a plate or basket of rolls or buns for everyone, (and butter too if you can find some.) 2. Remember to establish a cover. Avoid taking a fork to table alone – even here when you can pair it with a knife. A glass for water is required when eating in company. It can be for wine where water is scarce.No drinking on the way to the table. 3. After establishing a cover, avoid approaching the food table too fast. 5. Leave your used plate center the place setting. Leave silver at the table in the finished position, before helping yourself to the next selection. Each course is to get its own set of flatware. Flatware can be set in a rest position, on a plate, (when only one set is provided;) I only mention this because it happens. Get the next course. Then you can take the finished plate to the bussing station or push the plate up or to the side for someone to take. It may have already been taken. (Let dreams live. )Avoid pushing or passing the trash. Except at breakfast, avoid eating cereal as your last course or dish. This, again, is something I have witnessed.